Practically every minute of every day we are bombarded with advertisements. The concept of a company bragging about their best traits in an ad is hardly something new. 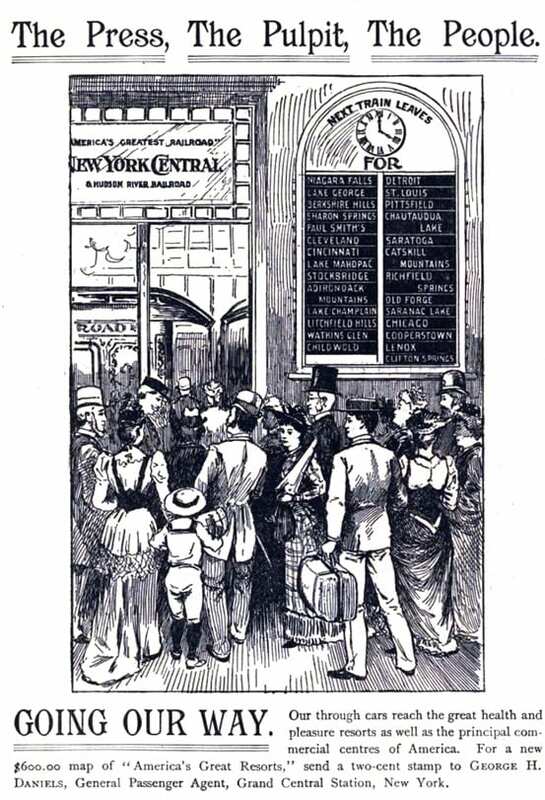 I love looking at old ads, and I found three nice ads for the New York Central, published in the late 1800’s, advertising various resort towns accessible by train. The New York Central could trace its lineage to the late 1820’s, when the Mohawk and Hudson Railroad was chartered in 1826. The New York and Harlem Railroad and the Hudson River Railroad provided a means into New York City – and the Central boasted of being the “only trunk line entering the city of New York.” The Central could also brag that they were the only 4 track railroad in the world. 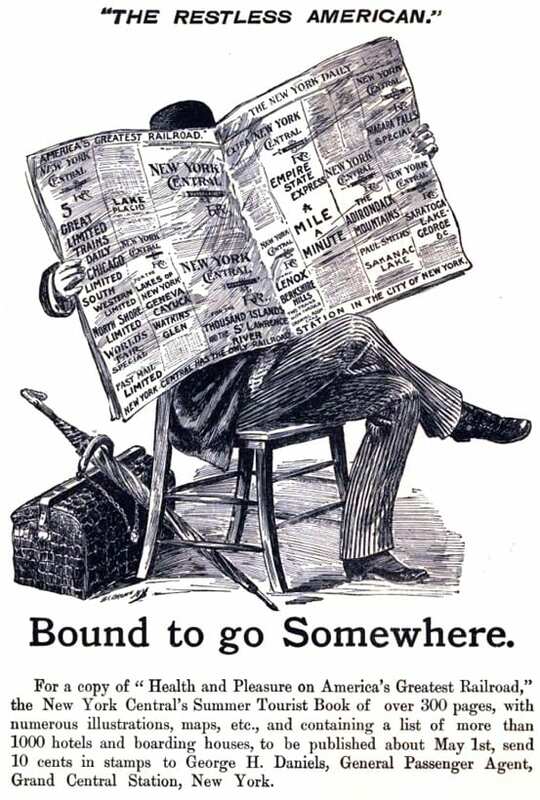 As train travel was really the best method of transportation in that era, it is hardly surprising that the railroads printed vacation booklets listing all the resorts one could take the train to. 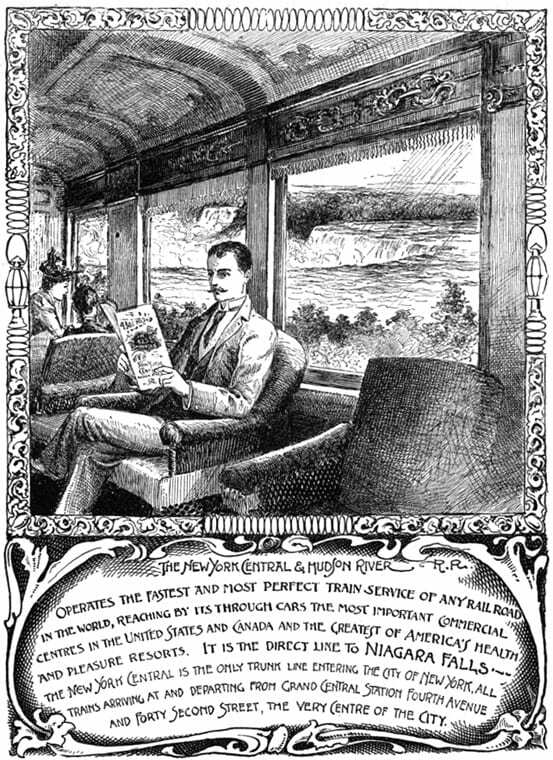 Advertised resorts areas for health and pleasure included Niagara Falls, Lake George, the Berkshire Hills, the Adirondack Mountains, Lake Champlain, the Litchfield Hills, Chautauqua Lake, the Catskill Mountains, and our very own Harlem Division branch station – Lake Mahopac (all of which are visible on the departure board in the final ad). 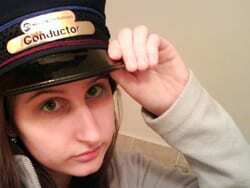 Named in the last two ads is George H. Daniels, the General Passenger Agent for the New York Central. He was the man behind the advertising, coming up with the idea for the “Health and Pleasure on America’s Greatest Railroad” book and other various ad campaigns.